FOR SALE BY PUBLIC AUCTION ON WEDNESDAY, 27TH FEBRUARY AT THE LIMERICK STRAND HOTEL, ENNIS ROAD, LIMERICK. 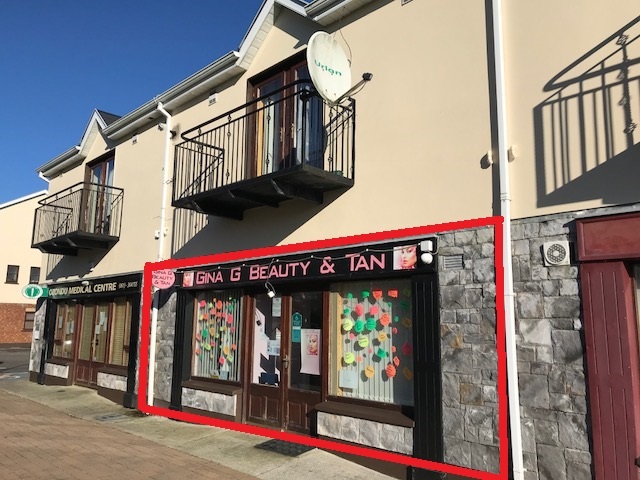 REA O'Connor Murphy offer to the market Unit 8 Ballycasey Business Park, a modern ground floor retail unit of concrete block construction with a stone cladding façade. The unit is presently operating as a Beauty & Tanning Salon and is presented in good decorative condition throughout. The accommodation comprises reception area, one large room with three tanning stations and changing room, three beauty rooms, toilet, kitchenette. Shannon is a town in Co. Clare situated approximately 24 km south of Ennis. The property is located off the R471 adjacent to MACE Shannon. Local amenities include Skycourt Shopping Complex, a wide range of shops, bars, restaurants and leisure facilities. Transport links include a bus service, Shannon Airport, the N19 and the M18. Parking: car park located to the rear of the development. Services: Circa 68 sq.m (732 sq.ft). Gas fired central heating. Phase 3 electricity. Management Company. Double glazed windows and doors. The property is being sold with tenant in situ. We have been informed the present rent is €6,600 per annum. For further details in relation to the tenancy please contact us on 061 279300.